What do you do when the home you live in no longer fits your needs, isn’t accessible or safe to aging, illness or an injury from a fall? We make your home accessible no matter your age or physical ability. We Can help! 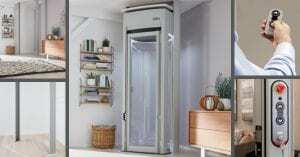 Ramps, Stairlifts, Home Elevators, Grab Bars, Barrier Free Showers, Tub Step In Cut Outs, Widen Doorways, Bathroom Modifications, Home Maintenance and much more. We are proud to be part of a local family-owned company culture that encourages and assists our friends and neighbors to grow old while living in your own home. We take pride in our ability to be your one-stop shop for all mobility products and accessibility services. AIP Mobility Plus is a licensed, insured company with decades of experience making homes and businesses accessible and safer. We are here to help our neighbors in New Jersey live the life that they want with dignity, respect, and independence. 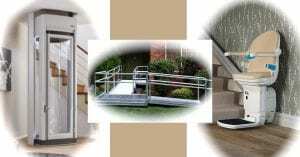 Our experience in providing stair lifts, wheelchair ramps, grab bars, home elevators, and other mobility products along with a proven track record in home building, home modifications, and health care establish the foundation of AIP Mobility Plus. We deliver the quality workmanship you demand along with the quality of service you deserve. We are the only company you need to complete your project with a focus on meeting or exceeding your expectations. Our multi-point, in-home safety and accessibility assessments quickly identify challenges and solutions based on your current and future needs! Our staff is certified factory trained and fully licensed state contractors. Sit Back Relax! We Do All The Work. From Installation To Removals. What truly sets AIP Mobility Plus apart is our “One-Stop Home Mobility Service” and our earned Certified Aging-in-Place Specialists (CAPS) from a wealth of knowledge and experience. All our mobility services come with an extensive full featured warranty to go along with the proven experience ensuring your home or business is accessible and safe for you and all your family members. Met with Bob from AIP Mobility Plus concerning family member's ability to move safely thru the house. Great job highly recommend him. We were so pleased with the strong and high-quality modular ramp as well as the fantastic staff we worked with at AIP. We are finally relaxing knowing that our elderly parents are now safer living in their own home. My elderly dad was living in the lower level of our home. He could never make it upstairs to join our family. 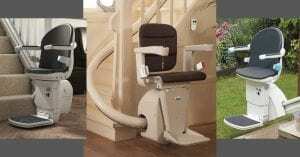 The stairlift AIP installed is amazing. 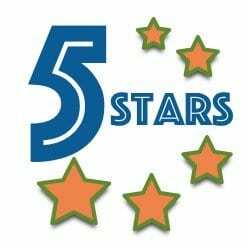 From the customer service to the installers, everyone was professional and courteous. Thank you AIP for a great job well done! SCHEDULE A FREE HOME SAFETY ASSESSMENT TODAY!